Disclosure: We received a demo version of Ditto for inclusion in the 2016 Holiday Gift Guide. We also receive an affiliate commission if you purchase a copy from Amazon. 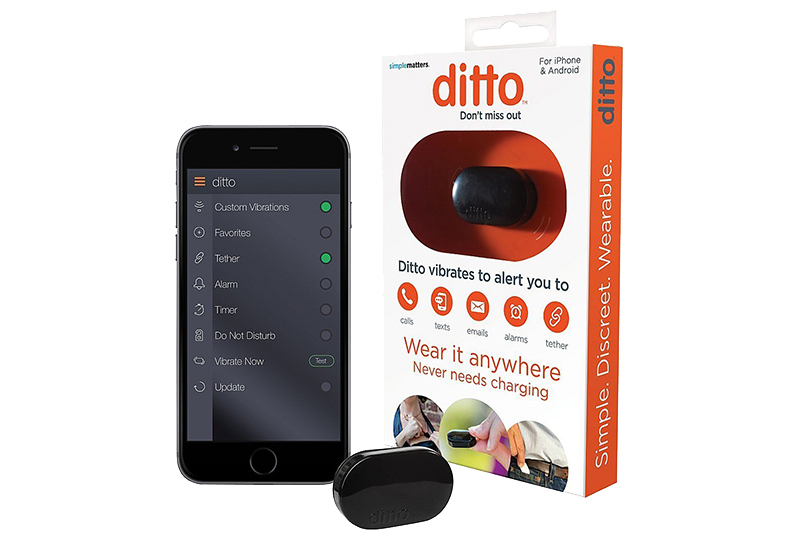 DESCRIPTION: Considered one of the best new gadgets for 2016, Ditto is a tiny, discreet waterproof wearable device that allows users to customize how they stay connected without constantly checking their phone. Ditto be slipped into a jean pocket, clipped on a strap or worn on a band and is perfect for everyday life use. Ditto allows users to disconnect while enjoying time with friend and families, at work or in a class, while working out, or running through a loud, busy airport— while still being notified of the calls, messages and other notifications they deem as important. Ditto is also integrated with today’s popular ride share apps, alerting its users when their Uber car is arriving. And, it notifies when the phone is in the user’s bag, external pocket, etc. so you don’t miss anything.